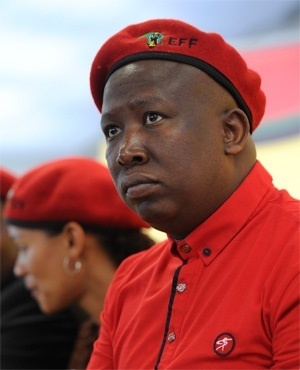 Johannesburg – Economic Freedom Fighters commander in chief, Julius Malema, has called on former matriculants who want to further their education to report to the academic institution of their choice in 2018. "We must make sure that in 2018 all academically deserving students are admitted freely in SA universities and FET colleges," Malema said in his end of year message. "We call upon all those who passed matric extremely well in the past and found themselves as petrol attendants, retail or security workers because they could not afford university fees, to report to the academic institution of their choice next year," he said. "The EFF will be at the gates of all learning institutions to ensure that priority is not only given to those who can afford to pay." Malema's comments follow the announcement by President Jacob Zuma, just before the ANC’s 54th elective conference got underway, of free education for all students whose joint family income was less than R350 000 per annum. Zuma also announced that funding would be increased to include stipends for books, food, travel and accommodation, and that the support for universities would be increased to 1% of GDP per annum, but it is not clear where the funding for those who qualify for free education would come from. One of the issues raised at the time of Zuma’s announcement, was the proposed phased in approach to free fees, with only first year enrolments benefitting initially. CEO of Universities SA, Ahmed Bawa, which represents the 23 public universities in South Africa, said they were also concerned that the new funding model only applied to first year students for 2018, which he felt would not sit well with other students. No reference was made by Zuma regarding admission of matriculants from previous years who qualified for free education in 2018. In his message, Malema also said the EFF would focus on public health care, ensuring that public hospitals function better. “We acknowledge that our public healthcare system has collapsed, making the poor die prematurely. We will demand that a proper, quality, free and accessible healthcare system is provided for the poor,” he said. Malema also called for action against women and children abuse and for people to be safe on the roads.